Every night, during the course of a shift, I process literally hundreds of orders for supplements, herbs, vitamins, and god-knows-what all. Most of the things I see are to aid in weight loss. They all make extravagant claims on their labels complete with proof-positive-photos of real people – just like you(!) – who have used the product and who have gone from ghastly to gorgeous, practically overnight and with no change in lifestyle! Woo hoo!!!! Garcinia cambogia – while there are some television personalities and several companies who endorse this miracle fat-buster, the science just isn’t there. As far back as 1998, clinical tests were being done on this panacea for portliness (ya like that one?) and, yep, you guessed it, in the blind tests garcinia cambogia performed no better than a placebo. In fact, some preparations have been pulled from the market because of possible links to liver damage. That leads us to ..
Hydroxy-this, Lipo-that, Xena-something else – in spite of being once endorsed by recent medical school graduates, celebrities and people just like you and me (wink), these supplements have been specifically noted as the source of some liver damage related to garcinia cambogia, a major ingredient. Another main ingredient found in some of them is (or was, I don’t know that they can use it anymore) ephedra which boosts metabolism, raising body temps, blood pressure and heart rate, which can be dangerous for many. Basically, this is OTC speed. It may work in the short term or it could kill you. There are SOOOOO many supplements, cleanses, miracles out there that it’s fatiguing just to contemplate them all. Some of them are endorsed by entertainment doctors, but I’ll bet your family practitioner wouldn’t send you out for them. Don’t take the word of someone on television, or someone at the gym, or even a strawberry-blonde Goddess whose you read (religiously, I’m sure). Do your research! Read the ingredients, look at the claims, examine the science and make informed decisions. The companies manufacturing and selling these drugs don’t care about me and they don’t care about you. What do they care if their product shortens our lifespans? They’ve got a house on St. Bart’s, for heaven’s sake. What do they care about the life of some housewife, some student, some retiree in Lexington, El Paso or Eugene? They don’t. That’s your job – to care about your life and your body. It’s your job to do what’s best for it. And, while I don’t know all the answers, what I do know is what worked for me and it’s that plain, old, stick-in-the-mud answer of diet and exercise. Eat lots of veggies. Control your portions. Exercise for 30 minutes a day, even if it’s just taking a walk. Give your body what it needs and it will do the rest. There’s only one way to lose 15 pounds of ugly fat overnight – Madame Guillotine. 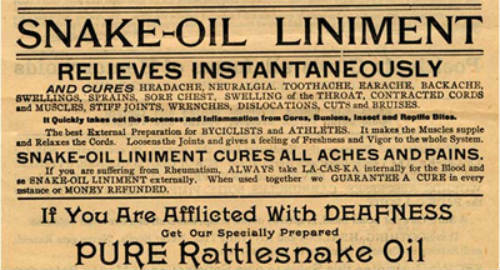 As for supplements and snake oils : caveat emptor.